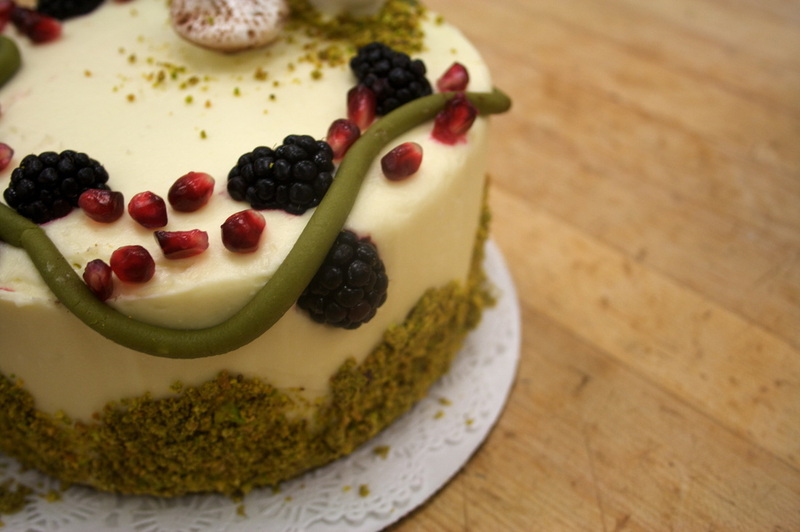 Cake Final - A Portfolio. 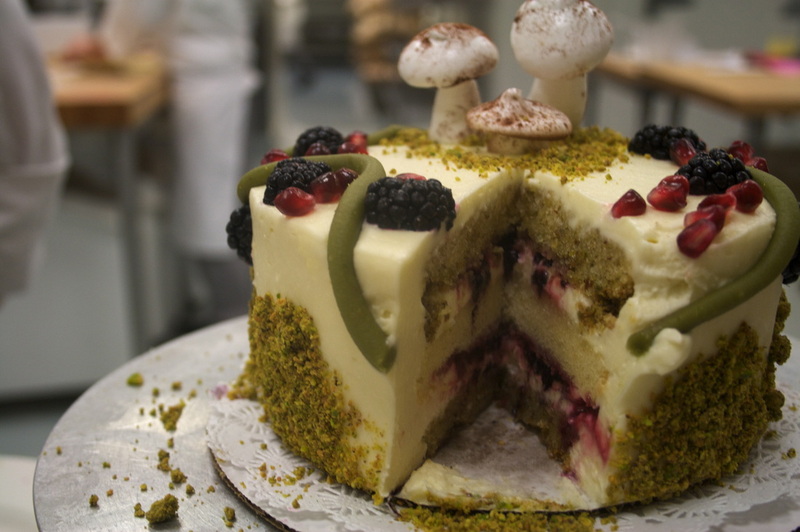 A pistachio olive oil cake layered with cream cheese buttercream, blackberry reduction, a slight layer of balsamic curd, and blackberries. 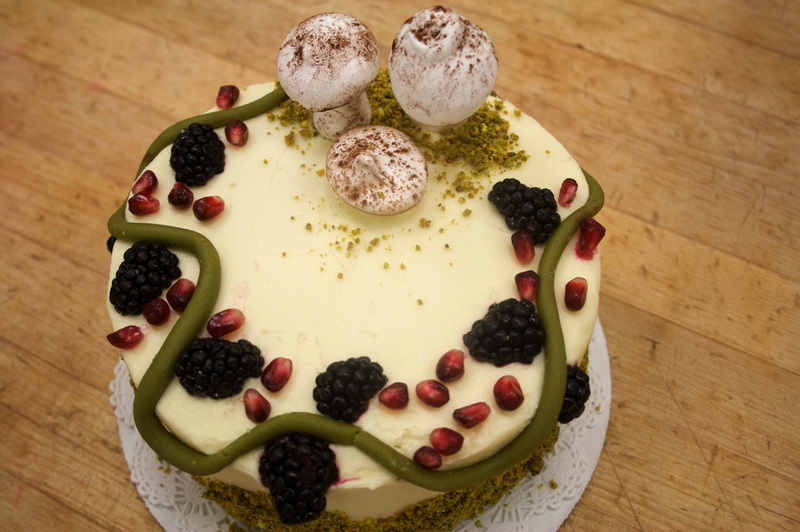 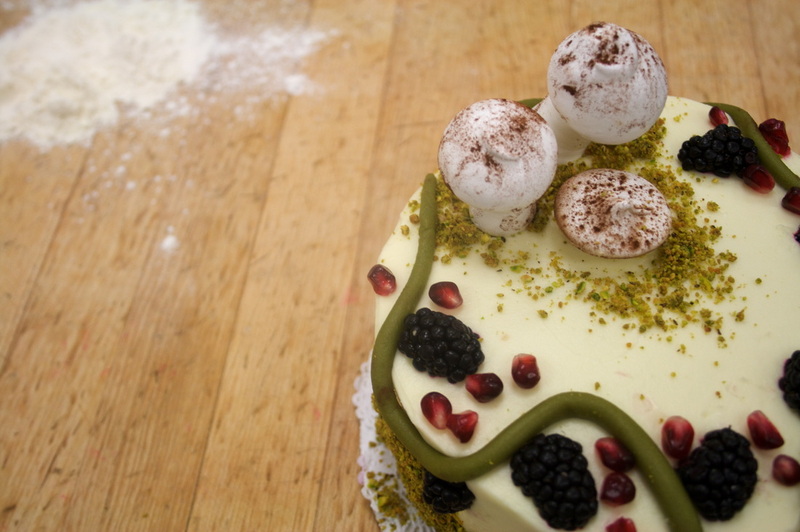 Garnished with a green marzipan vine, pomegranate seeds, blackberries, ground pistachio and little meringue mushrooms!